The Day of Atonement occurred on the tenth day of the seventh month. On this day, the Israelites were to practice “self-denial” (usually understood to mean fasting) while various sacrifices were made (Lev. 23:27). Through these offerings, the Lord promised, “Atonement will be made for you on this day to cleanse you, and you will be clean from all your sins before the LORD” (Lev. 16:30). This was a staggering promise. Though God dwelled in the midst of Israel, He was sealed off from them inside the tent of meeting (and later the temple). Because of their sins, He could not commingle with them or they would die. 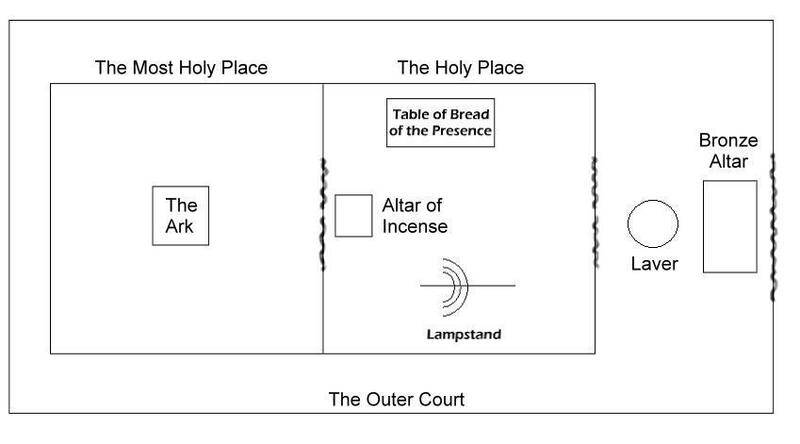 As the picture below illustrates, God was separated from Israel by a series of veiled chambers. People could enter into the outer court in order to bring offerings to the priests. Only priests could enter into the Holy Place and minister there. And once a year, on the Day of Atonement, the high priest alone could enter into the Most Holy Place where God dwelled (Heb. 9:7). Here we see why the Day of Atonement follows Pentecost (Christ’s Anointing) and Trumpets (Christ’s Coronation). As was said in the discussion about Pentecost, kings and priests were among those anointed as a sign that the Holy Spirit would empower them in their office. 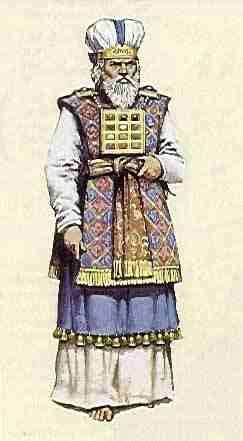 The verses just quoted from Hebrews show that the order of Melchizedek is an order of King-Priests. Christ’s anointing at Pentecost not only empowered Him as God’s chosen King but as High Priest of eternity. This order of King-Priests was also predicted by Zechariah when he prophesied about Joshua, son of Jehozadak, who was high priest after the exile: “It is he who will build the temple of the LORD, and he will be clothed with majesty and will sit and rule on his throne. And he will be a priest on his throne” (Zech. 6:13). “Jesus” is the Greek translation of “Joshua.” Joshua, son of Jehozadak, was a figure of Jesus, our King-Priest to come. Scripture tells us that the tent of meeting was “a copy and shadow of what is in heaven” (Heb. 8:5; Exodus 25:40). When Jesus performed His high-priestly ministry, He did not enter “a sanctuary made with human hands that was only a copy of the true one; he entered heaven itself, now to appear for us in God’s presence” (Heb. 9:24). Through His heavenly ministry, as we will see, Jesus made us righteous and forged eternal peace between us and God (Rom. 5:19; Col. 1:20). This is why, like Melchizedek, He is King of Righteousness and King of Peace.